Should you share your company news on your linkedin account? The advent of Social Media has meant the blurring of lines between personal and professional boundaries online. Personally, I have no issue sharing company updates on my Twitter, Linkedin or indeed on my blog. In fact, I’m often quite proud of our achievements and I’m happy to share it with my connections. However, I’ve often wondered how others feel about sharing company news on their personal channels. Do people feel resentful when they feel pressured to share items or would they relish the chance to sing about their companies achievements? If you’re interested in sharing your views click on my Google Plus Poll and answer either Yes or No and I’ll share the answer shortly. 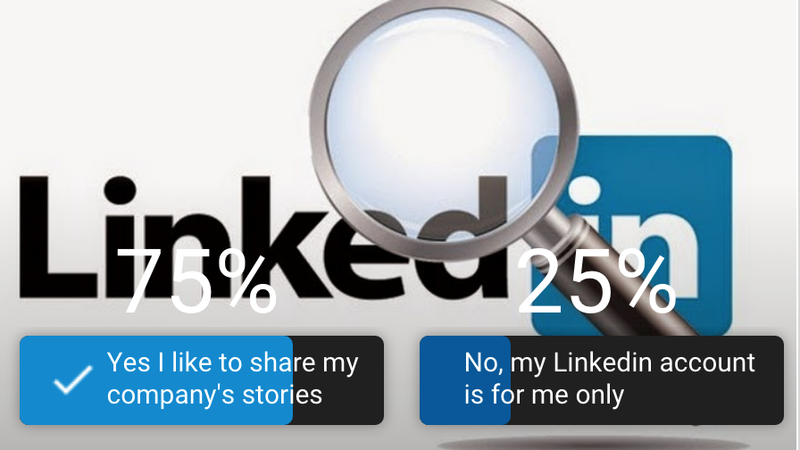 Linkedin Poll on Google Plus: Do you like to share company stories on your Linkedin Account?